Adhesive Products is a clear brush-on remover with the consistency of water. 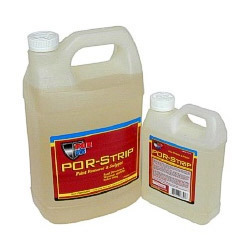 In sample testing, our Adhesive Products was the choice of professional auto strippers. Remove any coating from any surface without damaging window glass, chrome, or weather-strip. Adhesive Products are non acidic and will not harm aluminum or factory fiberglass. Anantha Coating Solutions has marked its presence in industry by trading, distributing and supplying a broad assortment of Rust Preventive Paints, Floor Armor Concrete Coatings, Adhesive Products, High Temperature Paints, Rust Preventative Primer and many more. The company was founded in 2008 and has achieved a distinguished position by making best product available to the customers. Highly admired for their unmatched excellence and features, our products found application in the extensive major markets of Indian Subcontinent. This further has proved the credibility of our organization and makes it separate from the counterparts. We procure the entire range from trustworthy vendors, whom we have chosen after several stringent surveys of market. We have also undertaken the suggested quality guidelines of industry, by maintaining which, we have, gained the trust of maximum customers. Our vendors ensure that the products are formulated by the usage of qualitative ingredient and other inputs, which have made them highly effective as well as best in terms of excellence.